The variations of what people celebrate this time of year are not all summarized in "Christmas" time. The masses who celebrate in exchanges, get togethers, food festivities and in common greetings is quite remarkable - especially for those who are not similarly inclined - yet even they engage! Santa and reindeer, stars and mangers, or maybe jolly good times - whatever the reason for taking time off from work, the wrapping of gifts and baking treats, traveling afar and hosting many - it brings "families" and communities together. 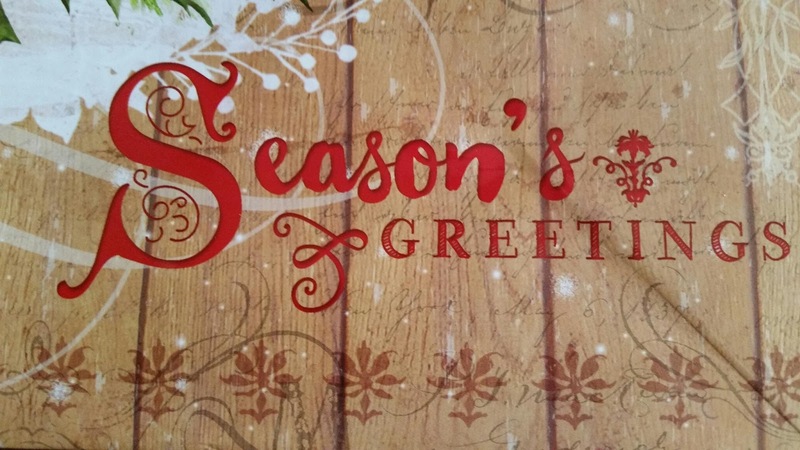 As imperfect as people may be - in a culturally and overwhelming holiday such as this one, the years and the differences of "us" are inited in "happy holidays." Whether grand or small, abundant or frugal, treasures or practicalities, overflowing or critically necessary - gifts are every where. December, 2018!